Did you know that the month of October is never mentioned once in the complete works of Shakespeare? That’s because he knew that October is the month for the macabre and steeping yourself in as much spooky stuff as possible. 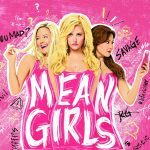 There are so many types of Halloween movies, the kid-friendly ones like Hocus Pocus, the camp classics like Rocky Horror Picture Show, but what about the kinds of movies that parents and media watchdogs have panic attacks about? Here’s our list of the most devilish and depraved movies to watch this spooky holiday season. We’ve all seen the Tobey Maguire Spider-Man movies. They were fun, looked like the comics and the camera zipped around like a caffeine obsessed monkey was holding the camera. Before he made the best work of contemporary American cinema with Spider-Man 2, Sam Raimi was busy inventing the horror-comedy genre with the Evil Dead movies. The original 1981 movie is more of a straight-up horror movie, your classic “cabin in the woods besieged by monsters” movie with enough gore and amazing practical effects to please the most ardent gorehound, but for our money, the sequel Evil Dead 2, is the absolute peak of 80’s horror. It meshes comedy and horror together in a way that is akin to Michelangelo painting the ceiling of the Sistine Chapel. Bruce Campbell gives the best physical comedy performance since the days of Abbott and Costello; the camerawork is refined to a more professional degree and of course, the practical special effects still look fantastic. With the Luca Guadagnino remake about to be released, now’s the perfect time to discover the seminal Dario Argento classic. The movie concerns a German dance academy that is a front for supernatural shenanigans. The film is an incredible paradox of cinema in that the film looks stunning, the set design, art direction, score, and cinematography are next-level, but the content within is so radically violent and obscene. The first murder scene is still absolutely electrifying in 2018, and one wonders how the scene would have played out in 1970’s Europe. Suspiria looks like a sleeping medication induced dream but plays out like a cheese-induced nightmare. We’re heading to Oceania for our next pick, with a film directed by a name we’re all familiar with – Peter Jackson. Peter Jackson’s first few movies such as Bad Taste and Meet The Feebles showed that Jackson was more than capable of producing absurd and darkly comic classics on a budget, so Dead Alive is the first time the Kiwi had a budget to play with, and promptly decided to make the goriest movie of the 90s. The amount of blood on display here is frankly ludicrous, but much like the Evil Dead, it’s lightened by a tongue-in-cheek tone. There’s something about old horror movies that newer, bigger-budgeted CGI movies can’t replicate, and that’s the fact that some poor cleaning crew had to clean up after the mess the filmmakers made – and I pity the poor team hired to clean up after the mess Jackson and his people made with this movie. Still an absolute hoot and a bit of a Rosetta Stone for the fun Jackson would have with the Lord Of The Rings movies a decade later, Braindead is a bloody good time. 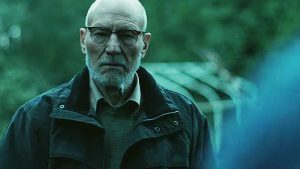 Green Room is the horror film that horror fans and critics will call the best of the decade when the end-of-decade lists are being drawn up next year. The movie concerns a punk rock band holed up in a bar with Neo-Nazis in rural Washington state after they find something they shouldn’t have, and the movie descends into a symphony of unflinching and uncomfortable violence. The most effective thing about Green Room is that there’s no invincible supernatural boogieman running around bumping off people, nor is there an ancient demonic curse driving people mad, it’s the human condition at it’s most depraved and beastly, and that lends the film a sense of brutal realism. The film was in cinemas when lead actor Anton Yelchin tragically passed away, but this movie is a hell of a legacy to leave – he’s absolutely fantastic as Pat, lead singer, and bassist of the band fighting for their survival, but the real star of the movie is Patrick Stewart as the leader of the pack of Neo-Nazis. You’ll never be able to watch the X-Men movies or an episode of The Next Generation the same way again after seeing Stewart in this; it’s possibly the best performance of his career. I was tempted to include Cannibal Holocaust or Hostel on this list because they’re the most obvious choices when it comes to nightmare-inducing violence and gore, but I’ve decided to add a left-field choice: a French-language film that caused people to faint when it was shown at the 2016 Cannes Film Festival. There’s no point dancing around the subject – it’s a movie about cannibalism. If there was ever a movie to turn someone vegetarian, it’s this one. The film concerns a vegan veterinary student who tastes meat for the first time and develops an insatiable taste for human flesh. The litmus test for any horror film is the visuals – if what’s taking place on screen is horrific, it doesn’t matter what language the film is in. French films get an unfair rap for being black and white existentialist snoozefests, but Raw proves that French cinema is indeed alive and well, and it’s sending chills down the spines of veteran horror hounds.